Happy New Year! We hope you were able to spend some quality time with your family and friends making Merry with good food like we did! Jim and I were so happy to be able to travel west and enjoy an extended visit with Robin and her husband! One of the first things we did was plan our menu. Robin has been eating really clean and we didn’t want to change that with holiday indulgences that didn’t fit that plan. Let me tell you, we did not suffer! Between the wide array of vegetables and the coconut mint patties (sugar free), we felt decadent! Reconstitute the dried mushrooms in 2 c boiled water and save the water after you drain them. Chop all the mushrooms. Heat the oil and add the fresh mushrooms and onions. After they release their juices, add the flour and spices. Mix in well, still over med/high heat. When the flour disappears, add the wine. Cook this down until the mushrooms start looking brown and coated. 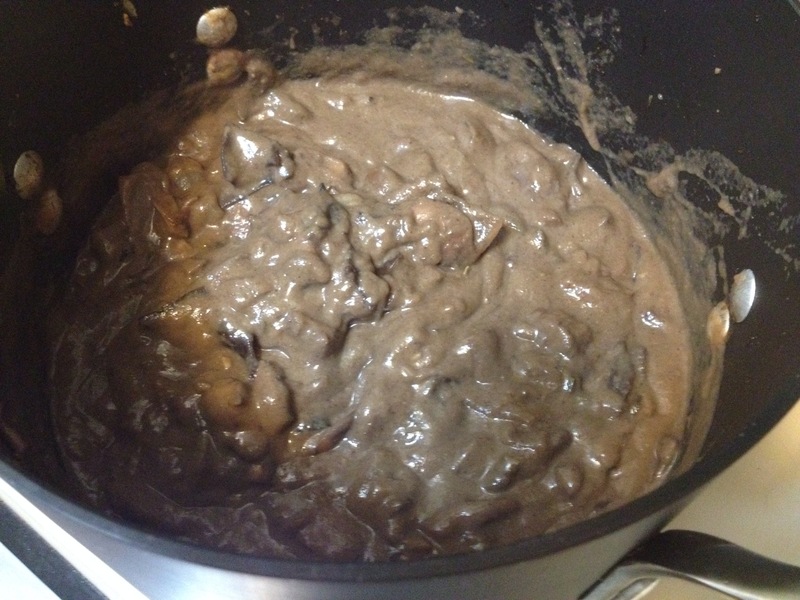 Then add the mushroom water and the chopped reconstituted wild mushrooms. Bring to a boil and simmer until the liquid is reduced to about half and thicker. We then blended half of the mixture and returned it to the rest. Grate the cauliflower after coring it. I used the food processor so it was really quick. 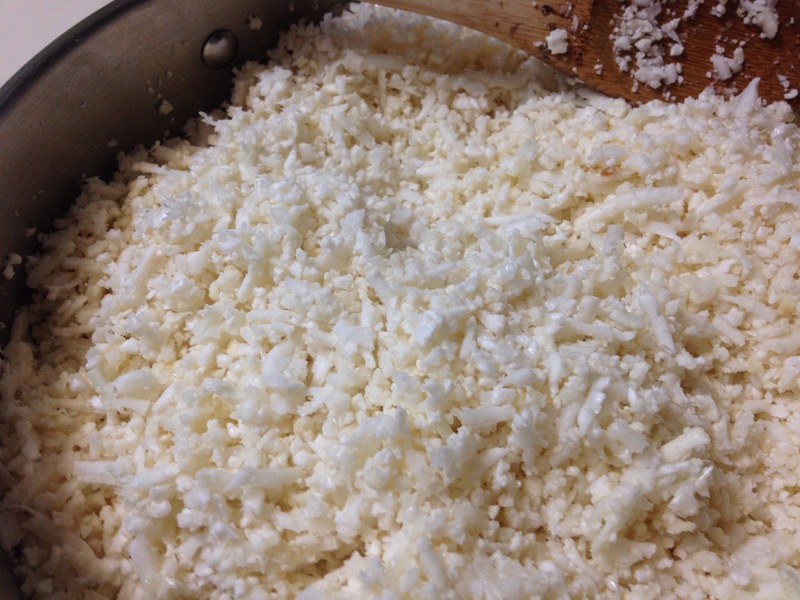 Melt the butter and coconut oil in a large pan on med/high. Add the cauliflower and sauté. Browning a little is fine. Lower heat and cover for about 5 to 7 minutes. We likes it with a bit of “chew” to it – not mushy! 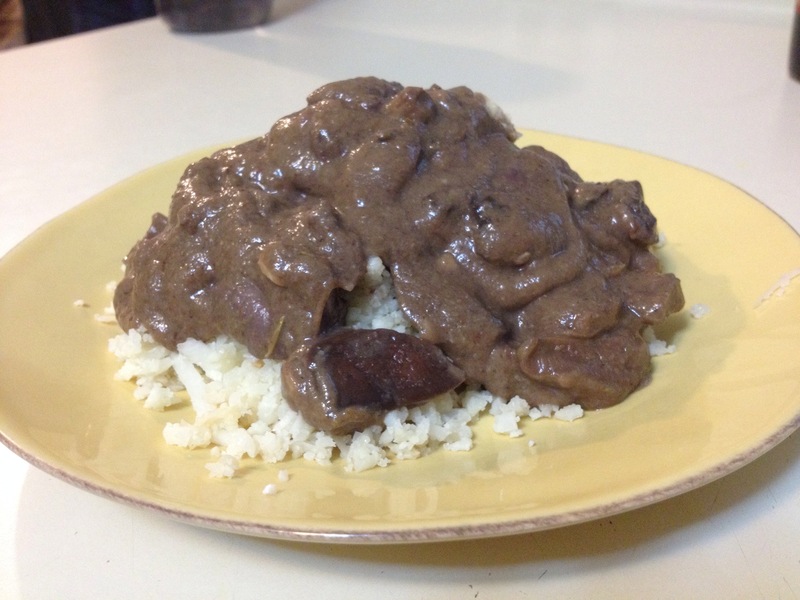 Serve the mushroom ragout over the “rice”!